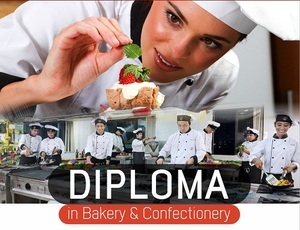 Are you looking to make career in bakery? Baker as a profession is in more demand than its superior cousin Chef, whether in Hotels, Restaurant or at Bakery. Prospects of a specialized Baker are very good in nowadays where any function is customized to be started with a Cake whether it is small birthday party or a marriage reception. The eligibility for admission to Bakery course at the undergraduate level is higher secondary examination pass irrespective of the any stream. AIBTM is one of the best bakery training institute in India which is located in greater noida, Delhi NCR, provides best classes for bakery courses, diploma and certifications by highly professionals and Master Chef.